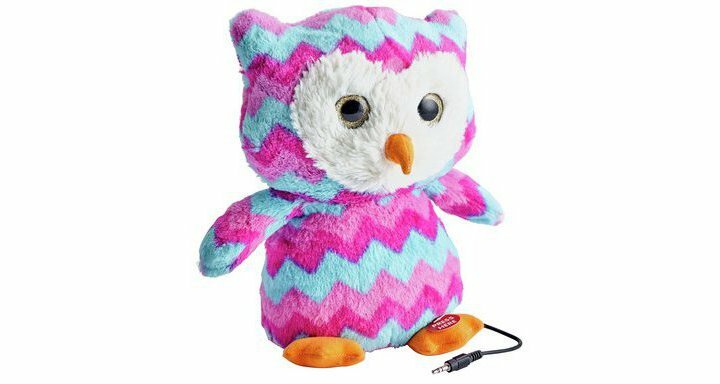 The Chad Valley Be U Owl Speaker eyes flash and hands flap as Owl dances and sings along to the music being played. As the volume can be set to the desired level a top tip is to slowly increase the volume up to your preference, that way you can laugh and giggle as you watch Owl dancing more smoothly the louder the music becomes. Get money off with April 2019 free Argos voucher codes, see if there's a promo code for the Chad Valley Be U Owl Speaker product. Argos may be out of stock of this product. To enhance your shopping experience you may also be redirected to a search results page when you click an outbound link. 4.6/5 from 7 recent reviews.